Welcome back to Meet the Parents. This week we’re chatting to Lynn who writes at Glasgow with Kids. I’m Lynn and I live in Glasgow with my 3 year old daughter, my brand new squishy baby boy, my husband, our wonderfully patient labrador and our grumpy cat. We’re all currently getting used to life with another tiny human in it! 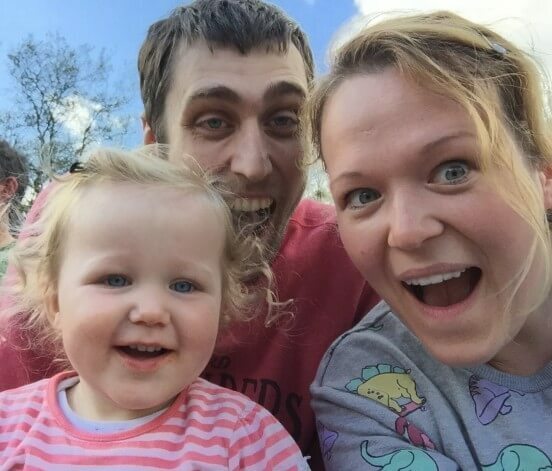 Ever since my daughter was a few weeks old I’ve always liked to get out and about with her, meeting other mums with babies (now toddlers) and just doing stuff. So I started writing about all the things we did together – classes, groups, cafes, restaurants – in a wee Facebook page. It proved quite popular and grew into something a bit bigger, and now here we are! After my labour with my daughter I’d have definitely said my TENS machine. It got me to 6cm on its own. However with my son I never spontaneously went into labour and the thing I couldn’t have done without was a big exercise ball to bounce on whilst trying to make labour happen. That and hair bobbles. Nothing annoyed me more than my hair during labour. The hospital is far too hot for that. Oh yes, hair bobbles were a godsend! I still use them now for the bedtime routine as Little M’s new favourite thing is to pull my hair out! Well I ended up having an emergency caesarean. So probably that. With my first, I wasn’t prepared for it at all. I’d gone to prenatal yoga for 6 months, did my cat curls every day to get baby into position and practiced those breathing techniques to make sure I was ready. And I was ready for labour. But not for a caesarean. There are lots of things that can happen that might lead to a C-section and I think that if I’d thought about it beforehand and perhaps prepared myself for that possibility, I might not have felt the sense of guilt and failure that I did for a while afterwards. Second time I was far more prepared for any eventuality. Thankfully. Because it happened again! The best gift we were given was our baby bath; the Acqua Bambino 2 stage bath from Mamas & Papas. It’s designed so that you don’t need to hold onto baby with one hand while you bathe them with the other whilst breaking your back a little bit more every time. You can pop baby in perfectly safely and you have 2 hands free. And an intact spine. It’s bigger than most baths but that didn’t bother us. We used it until my first was over 2, and it’s back out again. Do a food prep before baby comes along. I didn’t, and I really regretted it. I absolutely planned to do one this time but it didn’t happen. I’m regretting it again. As is my waistline. We still have some meals in the freezer that I made when pregnant! We just didn’t feel like them at the time and managed to get through okay. It was nice to have them there as a safety net though. The only advice I can remember being utterly ridiculous from my first pregnancy was when I was talking to my aunt about my hospital bag. She asked me what I was wearing in the hospital. I replied, “probably jammies?” wondering if maybe that’s not appropriate hospital wear anymore. She responded with the following: “No, I mean what scent are you wearing. You need to remember to pack perfume so that the baby will know your scent”. Now firstly, I never wore much perfume beforehand and have never had a ‘signature scent’. And secondly, I think I remembered to put perfume on maybe 5 times in the year after she was born. It’s not really a priority when you’re just trying to get out of the house on time! Oh yeah, and the nurse in my GP practice told me that as long as I was breastfeeding I couldn’t get pregnant. Don’t believe anyone who tells you this! I think your aunt was half-right – the baby will know your scent – but it will be your natural one! I always thought it would be the lack of sleep. And that was a contributing factor. But with my first child the hardest thing I found for the first few months was being so emotional and questioning myself all the time. 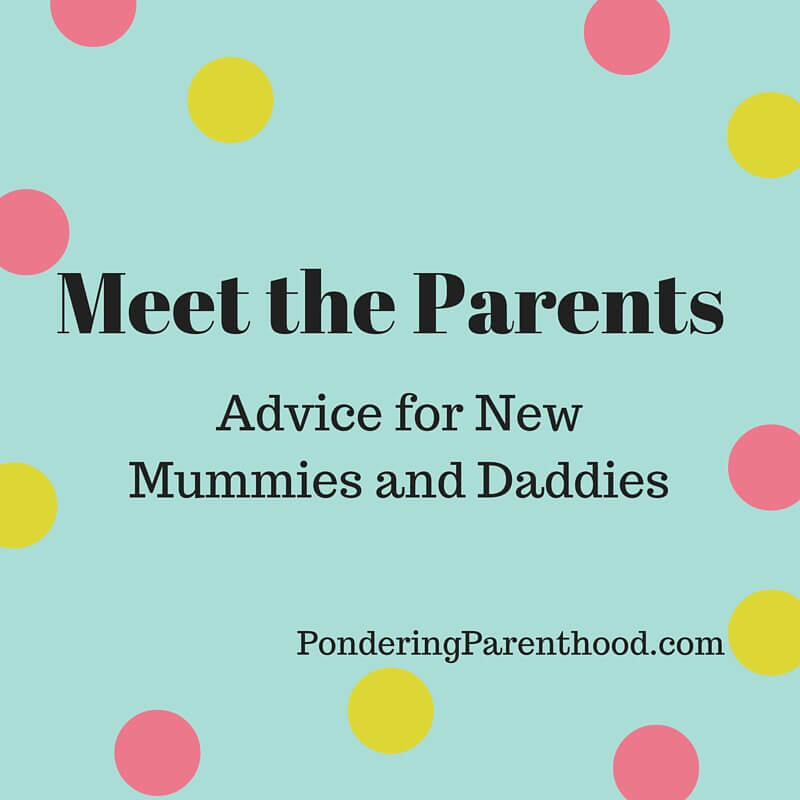 From talking to other new mums that’s something we all had in common. It was really great to know that I wasn’t alone. With my second I’ve been much more confident and found things a lot easier with the baby. Dealing with an emotional toddler at the same though, that’s the difficult part this time! This is what makes me nervous about having a second! I remember reading an article that described having a child something like this: “It’s like having your whole heart walking around outside of your body forever.” And it is. I never imagined before what it would feel like to have a child, and I never could have imagined how much I would love a tiny little alien-looking human the second that I saw it. It honestly was instantaneous. Both times. And it has only grown with time. Thank you, Lynn. You can find Lynn over on her blog, Facebook, Twitter and Instagram.